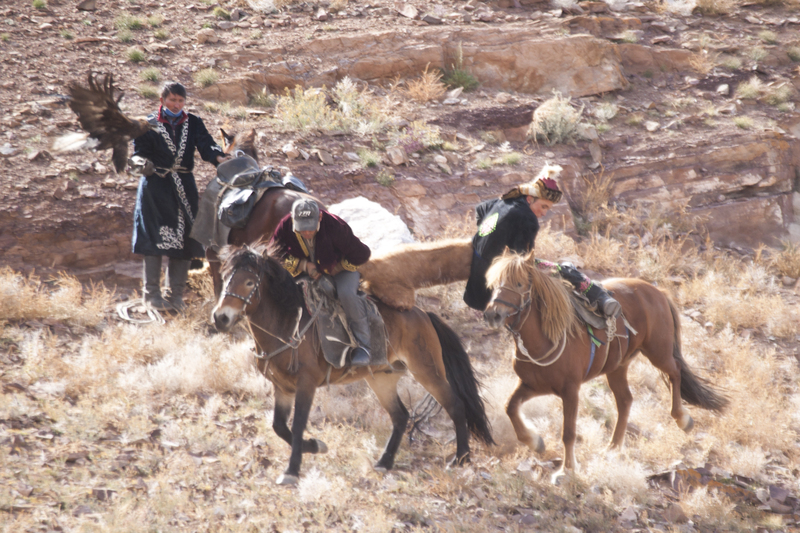 -This small eagle festival on the 3rd weekend of September features about 40 eagle hunters and their eagles that show off their skills in several events starting with chasing a fox skin and calling their eagle from a distance. 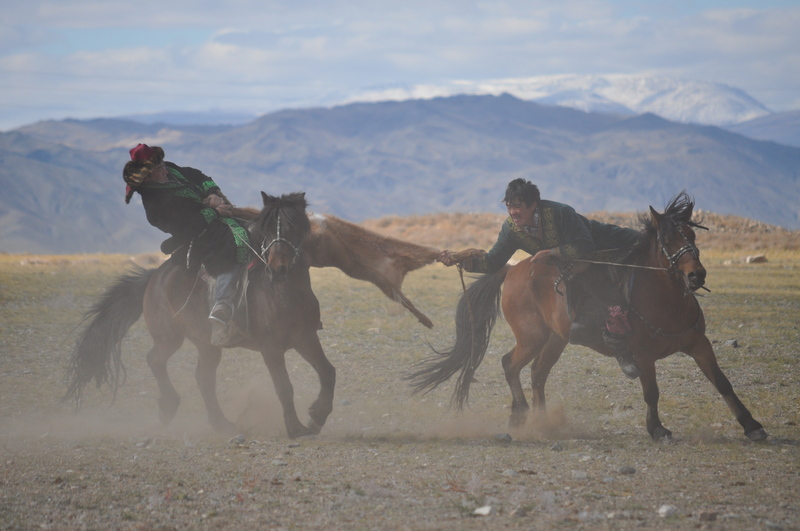 The final event is the eagle catching a fox fur being pulled behind a horse. 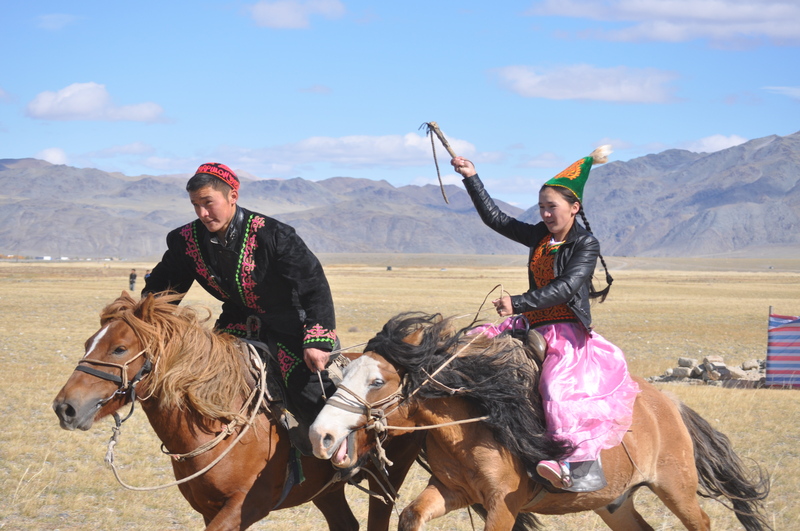 The festival also features a camel race of 6 km and several Kazakh games including archery, Tiyn Teru (a race to pick a coin off the ground from horseback), Kyz Kuar (“woman chase,” a man and woman racing with the woman whipping the man), and the highlight, Kokpar (tug-of –war while on horseback). Winners are selected in each event. The event provides a great opportunity to get up close to the eagles. You can also ride a camel or horse or hold an eagle at the event. The event was created in 2003 with sponsorship from Blue Wolf. Food and traditional Kazakh crafts are sold at the event by local residents. Gers and tents are available at the festival site or in Sagsai. Vans are available for transportation to and from Olgii throughout both days. Blue Wolf provides a round trip in a van for up to 8 people for $60. 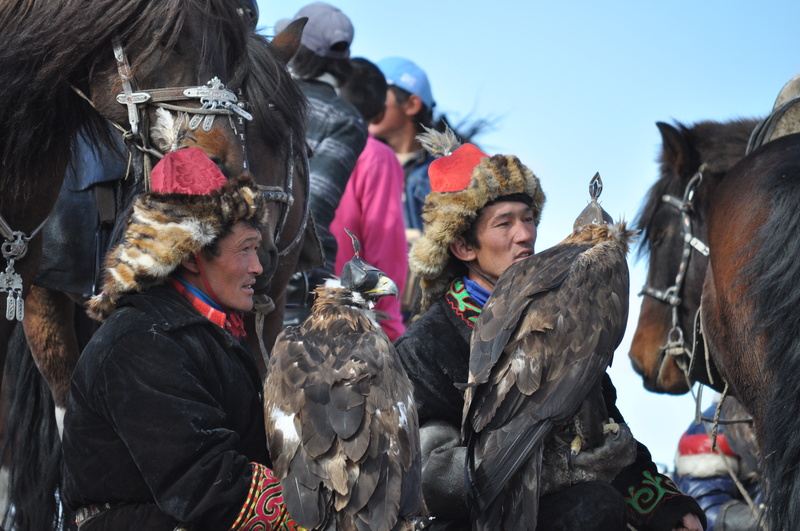 We run tours into the Sagsai Eagle festival Gengisen.